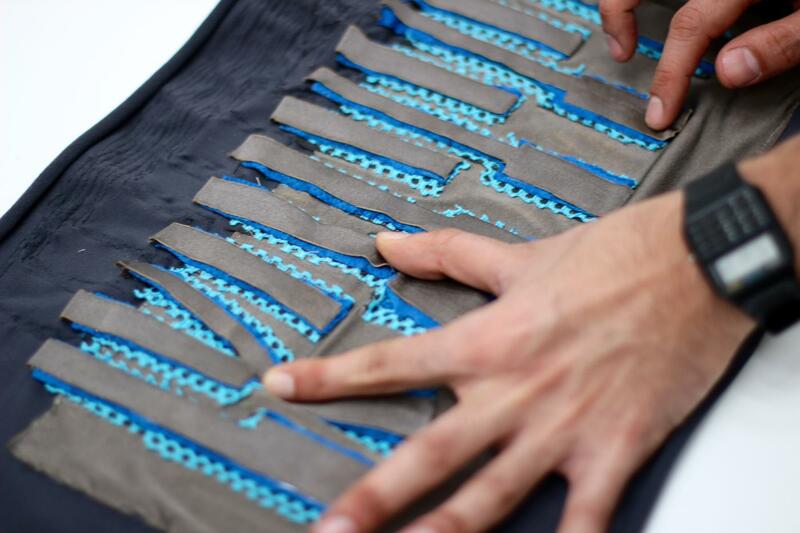 In the area of intelligent textiles, we are exploring a multi-modal, fabric-based, stretchable sensate surface for physical interaction media, specifically as deformable musical interface. 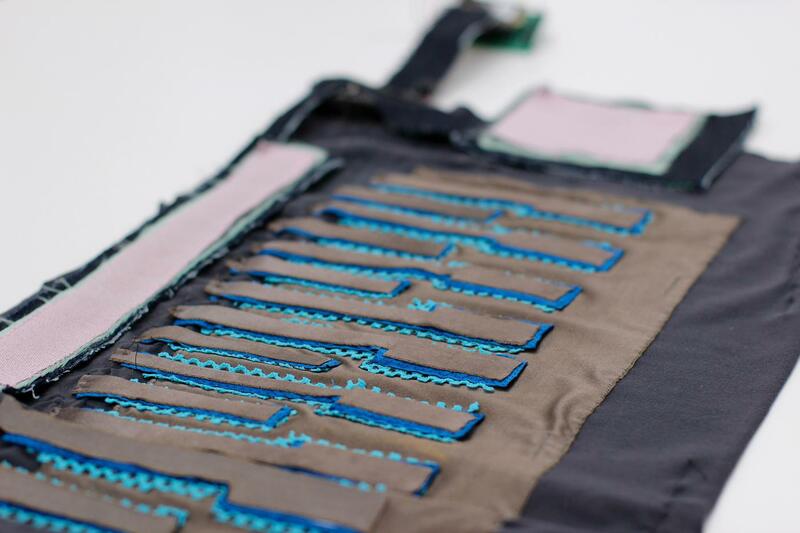 The fabric keyboard consists of multi-layer textile sensors machine-sewn in a keyboard pattern, and it detects different stimuli such as touch, pressure, stretch, proximity, and electric field. 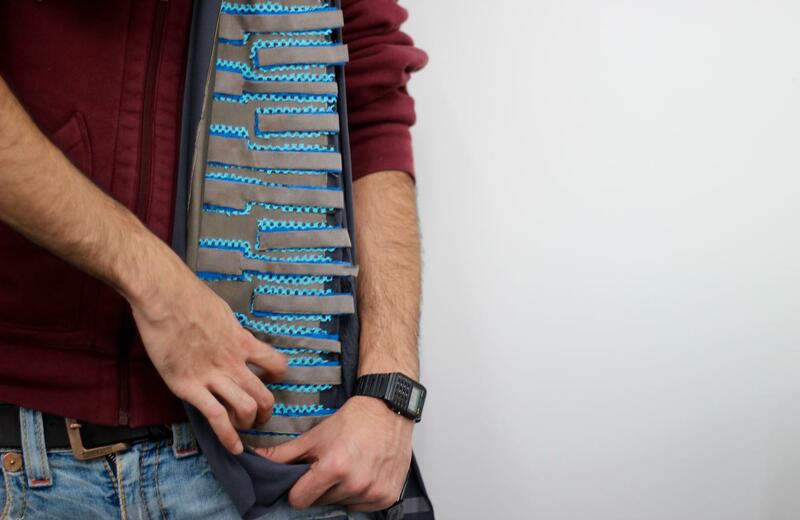 This allows users to explore physical and non-contact gestures for expressive on-body and on-surface musical performance. 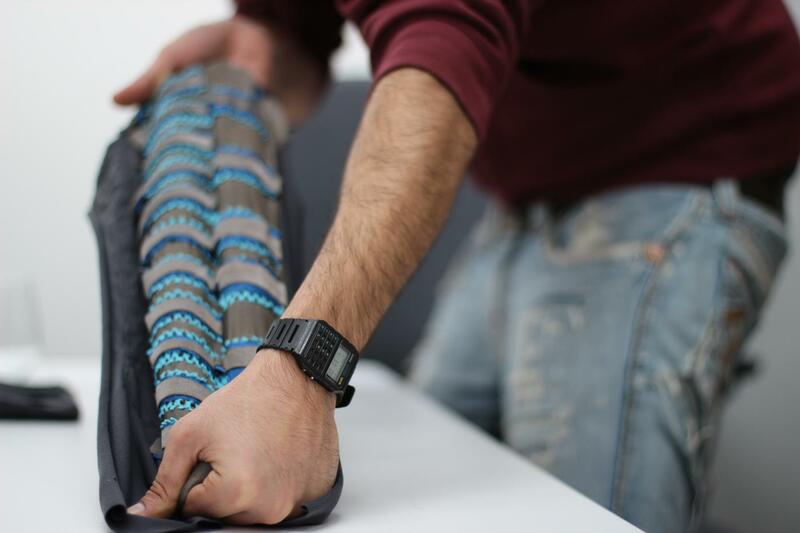 We've also developed additional textile-based inputs such as ribbon controller, trackpad, and fur for more expressive control. 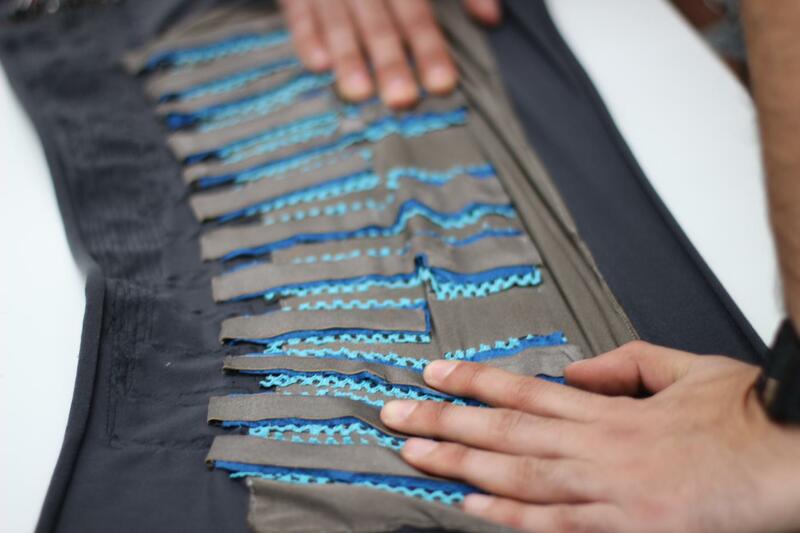 This soft sensate surface contributes toward developing seamless, self-aware, and washable media.